Rizoma "Shape" Right Engine Guard and Camshaft cover. So what's next? 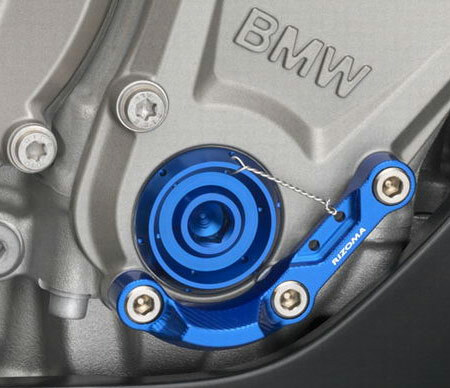 The s1000rr and HP4 already have ss brake lines. Not much can be done with the exhaust on the HP4 without swapping out the entire system (Akro shorty slip on will not fit the stock exhaust). And she already makes 177 rwhp on a "amateur" dyno (free parking lot dyno day) stock so more power isn't necessary. Have adjustable rearset stock as well. What's something you want to do to it? Make it yours. Last edited by Mattson; 01-27-2014 at 12:01 AM. Came with folding / adjustable levers. Was thinking a tail tidy but the stock one doesn't bug me. Does it have a steering damper? Yup, has a steering damper. Was thinking HIDs but I really don't want to mess with the wiring. Same with flush mounts turn signals. It's not all bling btw. I'm going to tackle respringing the forks in the come spring. Need more outdoor warmth for a job like that. And have to order some BMW tools to make it easier. Probably going to pickup a Kendon trailer late spring so I can haul her to the track this Summer as well. Bar ends are another possible. On the fence with those. People have switched to heavier bar ends on the s1k to dampen vibration. But I don't experience any vibration so kinda worried I might break what ain't broke. It's more "I need it!". Going nuts with this craptastic winter we're having. Read all the motorcycle magazines, thumbed through my books... If I don't do something related to motorcycles soon I WILL get a trailer and take her to somewhere sunny for a day trip. 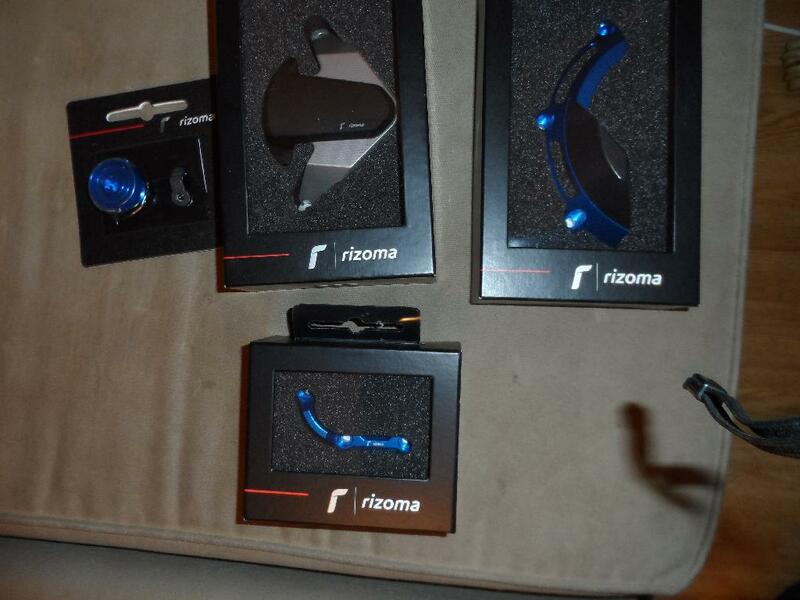 All arrived today: Rizoma Right & Left engine guards, camshaft cover and front sprocket cover.